If you have already chosen a divan bed for your bedroom then we can tell you that you have made the best possible choice. These beds are an absolute breeze to adjust. Their exact measurements mean that you know exactly how much space you are working with and they can be joined to create a bigger bed. You’ll be hard-pressed to find a more useful bed. The added storage facilities in the divan bed make it easier than ever to hind away unused bedroom items. The storage areas are great for putting away winter bedding, bulky jackets, and extra shoes. There is no longer a need for you to invest extra money into additional storage for your bedroom. When you browse through the online catalogues for divan beds you’ll quickly find that these fascinating beds are available in a wide range of styles which are bound to impress. You’ll quickly be attracted to the fashionable designs of the beds. These incredible beds will effortlessly enhance the natural beauty of your bedroom to create a space in which you feel most comfortable. The divan bed range features a number of easy to pair colours and this means that you will quickly find the right bed for your room without much effort. If you have already decorated your bedroom you will find that there is most definitely a divan bed available to suit all your needs. 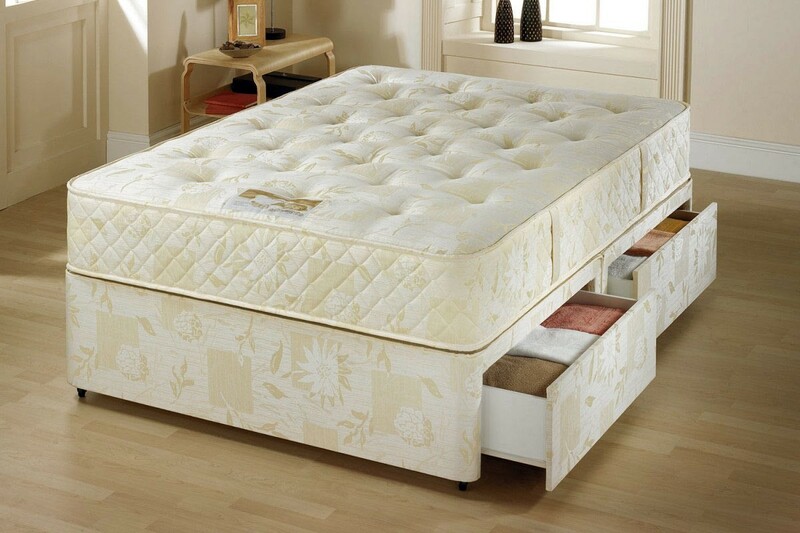 Additionally, divan beds can quite easily be paired with a stunning headboard or dresser to further enhance your room. One of the first things that you’ll notice when buying a divan bed is that they are available in a wide range of sizes. This means that you can fully customise your bedroom to suit your every need with a divan bed. If you have bought a smaller sized divan bed and now require more space you simply need to add on another divan bed to create a bigger sleeping space. Additionally, those with smaller rooms will find that they can separate these beds to make full use of the available floor space. You divan bed is fully customisable, which means that you will no longer be restricted as to how you layout your bedroom. Additionally, the durable bedframes used in the construction of the divan bed ensures that it can bear almost any weight.